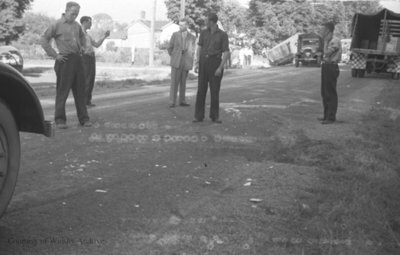 A black and white negative of five men standing in the middle of a street examining an accident scene. In this view tread marks can be seen in the middle of the photograph. Martin Transport Accident, August 6, 1937, Marjorie Ruddy. Whitby Archives A2013_040_161B.